With phones like the Galaxy S10 coming with a minimum storage capacity of 128GB, there doesn't seem to be a huge need for microSD card expansion anymore. 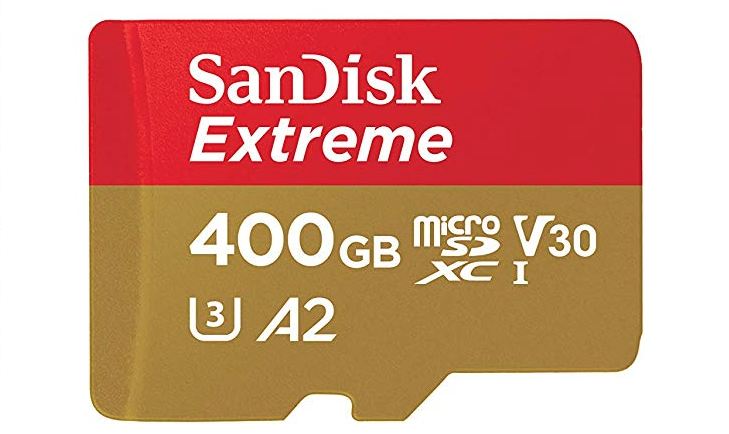 Nonetheless, if you're a media junkie and just can't get enough gee-bees, SanDisk's 400GB Extreme microSD card is currently available from Amazon for $121.98, more than 50% off its $249.99 MSRP. We've seen 400GB cards for cheaper before, but the Extreme designation on this card makes all the difference. SanDisk claims 160MB/s read speeds and 90MB/s write speeds for the Extreme, making it much quicker than an equivalent Ultra card. The U3 spec means that write speeds will be 30MB/s at minimum, and the relatively new A2 spec requires a minimum read IOPS of 4000, a minimum write of 2000, and sustained sequential performance of 10MB/s. In short, this is a fast card. This price of $121.98 is a far cry from the $250 MSRP, and it's the lowest price Amazon has ever offered it at. Shipping is free, and Amazon also mentions free tech support for 60 days in the listing (though we doubt anyone buying this caliber of card will use that). Hit the buy link below to pick one up. Just a day later, the price has dropped by another $12 to $109.99. Not great news for those of you who've already purchased one, but if you haven't, now's a good time to do so.